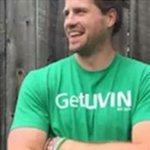 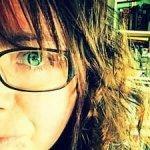 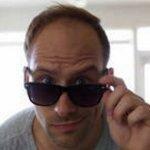 Thanks for the love! 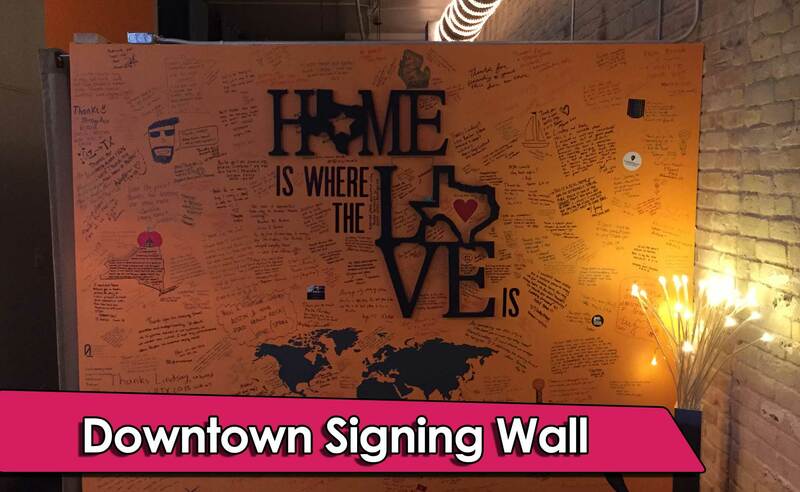 Our favorite reviews are the ones written on our walls……literally! 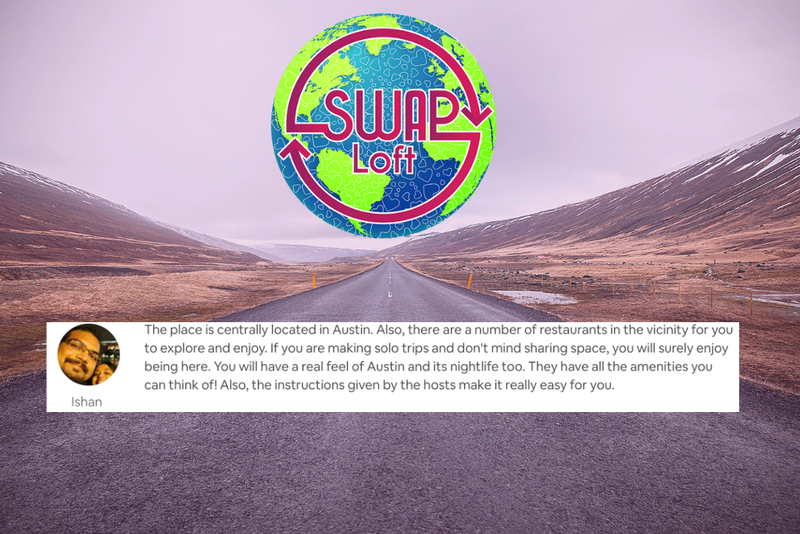 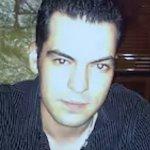 The apartment is perfect if you want to discover the heart of Austin without paying much and without having to rent a car, and of course if you are confortable with the “loft” atmosphere. 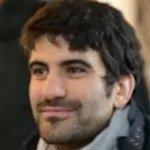 The kitchen is well equiped – cooking materials, cutlery and food of high quality. There is a huge space to stay and work during the day and a living room to rest. Other people come and go. 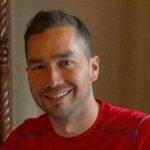 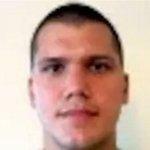 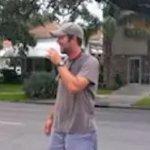 I got the opportunity to share my Austin visit experience with them. Would definitely recommend! 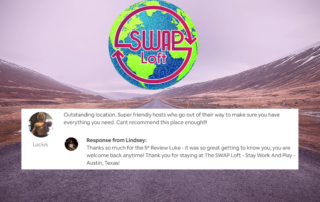 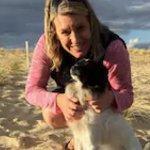 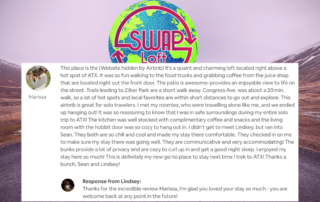 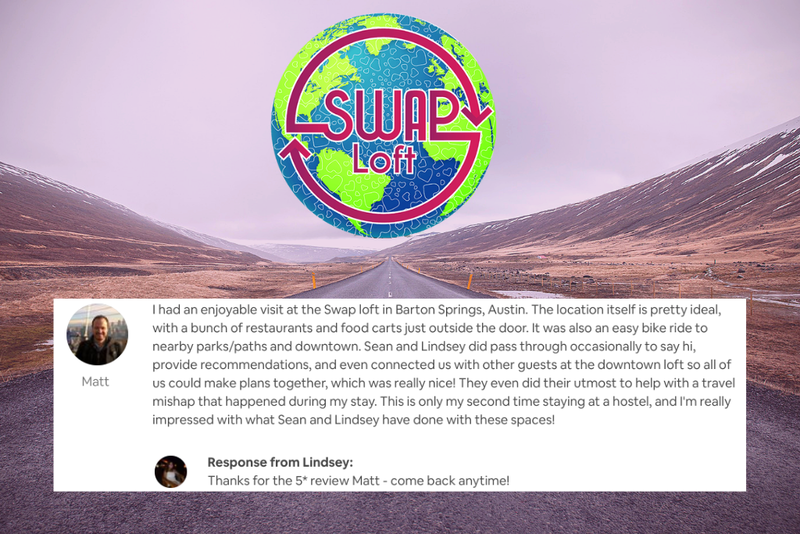 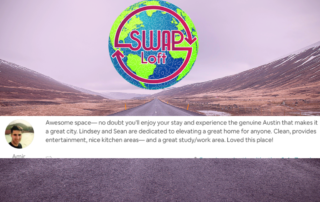 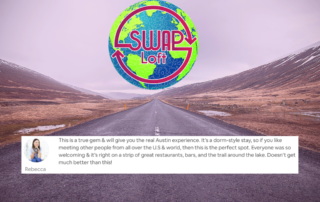 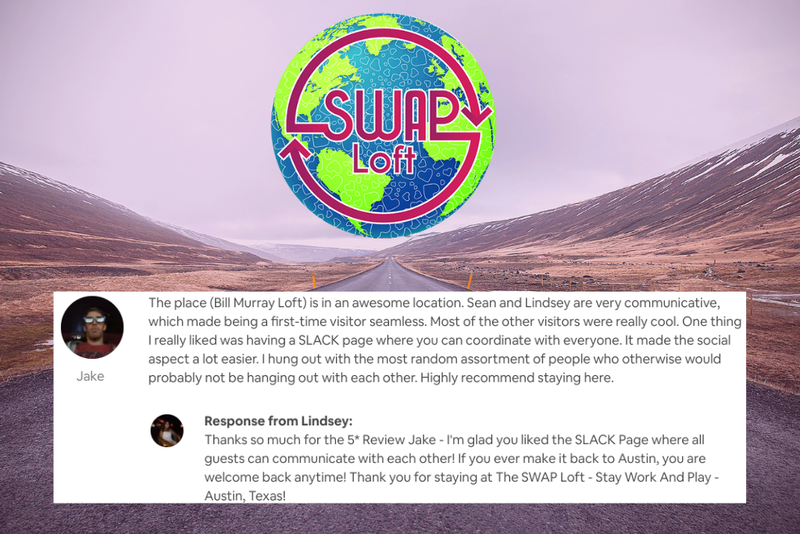 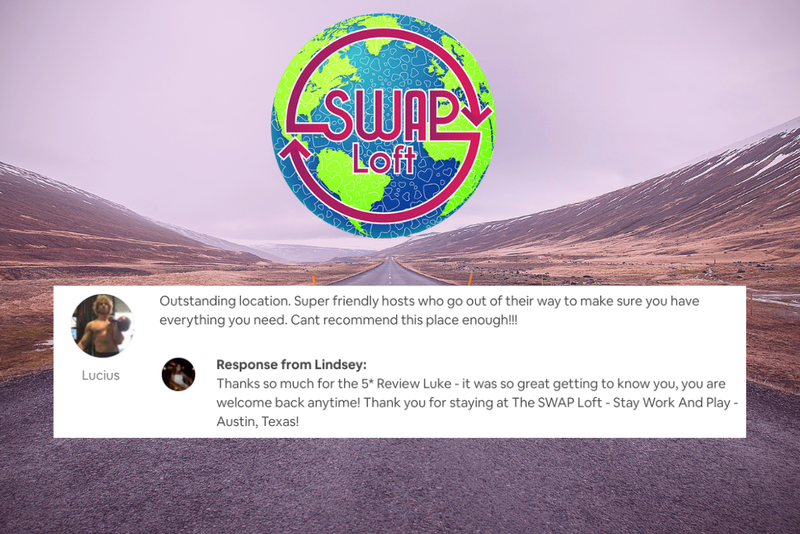 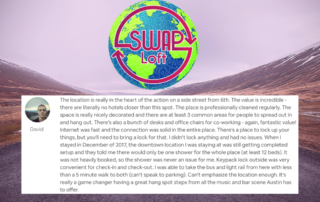 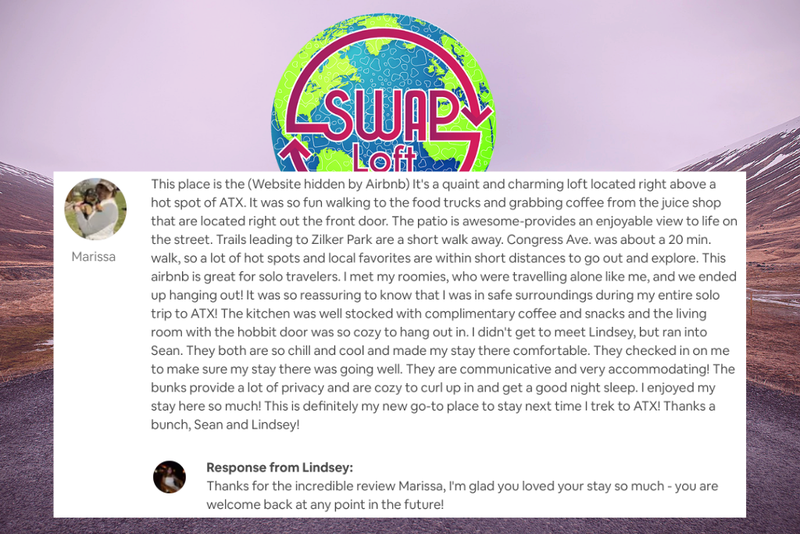 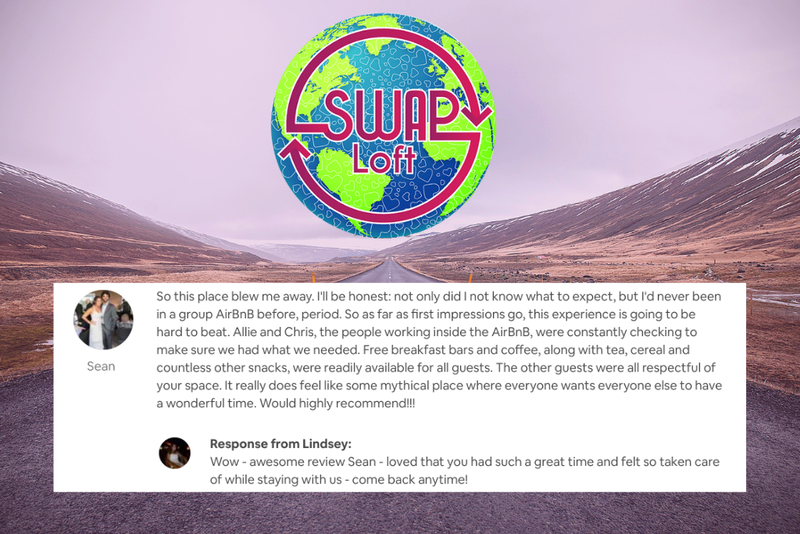 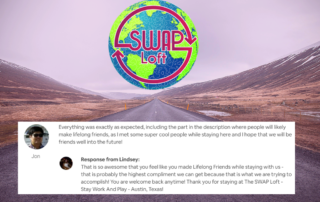 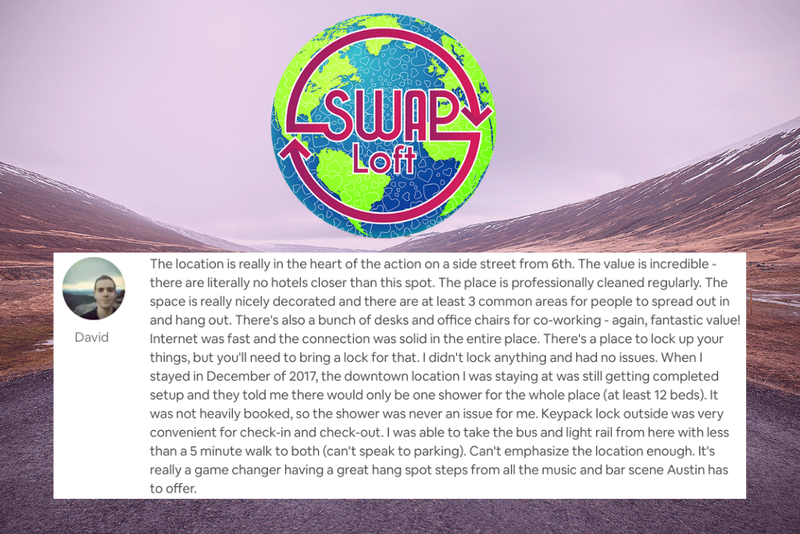 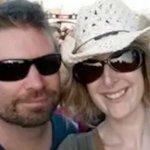 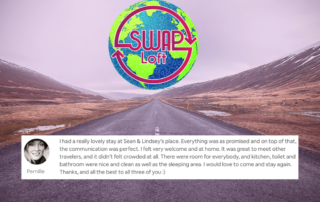 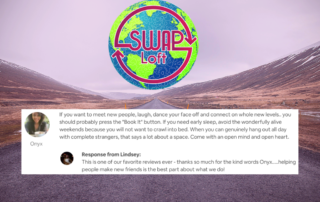 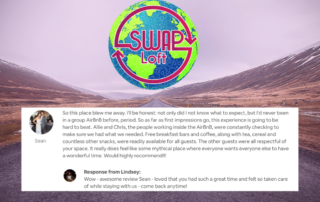 We’ve been so lucky to have a lot of great SWAP Loft Members – here is what some more members had to say!